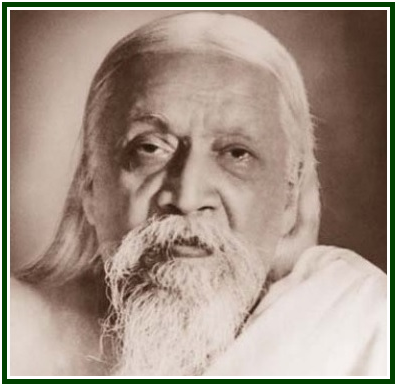 One of the great sages of modern India, Sri Aurobindo saw and taught that the higher purpose of human individual life is to awaken divinity in one’s own consciousness, thus liberating oneself from ignorance and unnecessary suffering. In order to attain that, one must learn to actively cooperate with the universal Law through self-devised efforts. It is necessary therefore to observe and improve our several layers of motives in life. While this is a good question to every student who thinks too much of his own progress, it must also be known that the learning takes a few lifetimes, and every little step ahead counts. How does the probationary process work? It is not difficult to understand. Once the iron decision to follow the path of altruism is made in the central part of one’s soul, other sections of one’s individual consciousness, centered around mental and emotional ignorance, will have no choice but to ostensibly follow the same course of action. They will “adapt”, however, the noble spiritual goal to their own ends and methods. They will astutely submit, in the sublevels of consciousness where they dominate, the Supreme Ideal which they seem to embrace to their own petty perspectives of separate well-being and individual comfort. Some of these sub-motives will be honest, transparent and in part compatible with the higher ones. It is a duty of the higher self to help the lower being fulfill its mission within its limited capabilities, and to give it time to gradually correct itself and evolve. The loyal sections and impulses of the emotional self, though imperfect and wrong, will not hide themselves from observation. There are other elemental sub-intelligences and impulses which are enemies in disguise. These will boycott the noble effort in the subconscious layers of the pilgrim’s soul, cleverly covering their actions under the mantle of noble and spiritual motives. Due to the existence of this occult struggle in the learner’s soul, self-observation and discernment become decisive factors. The pilgrim cannot take even the first step before thoroughly understanding that the path is probationary; that it is cyclic, not linear; and that many a trap is waiting for his feet. Illusion must be eliminated by successive layers. As soon as an outer form of ignorance is eliminated, another form – sometimes subtler at first, and only later showing itself in full – will readily appear to replace it. The battle goes on until the root-cause of ignorance dissolves itself due to a gradual, enduring expansion of one’s consciousness towards the universal law. The process leading to this must be lived under the fire of probation. One’s resolve is strengthened little by little thanks to a great number of unexpected tests. Sections or associations of the theosophical movement which pretend not to know of the painfully probationary character of universal knowledge, or do not actively prepare their students to face and to promote the uncomfortable uncovering of ignorance in themselves and in the world, are untrue to themselves as associations, untrue to the Teaching, false to the public, and are often accustomed to lie to their students “for the good of the Cause”. Leaders of such unfortunate associations may think they will attract more followers by hiding the need to identify and fight illusion. This they may do, at the price of renouncing wisdom entirely, while attaching themselves to a sad sort of parody. If the first step is false, falling is inevitable. If the first word is a lie, there is no Path. The first noble truth is Dukkha: life is not always comfortable. Letting people imagine that the path to wisdom is easy, is tantamount to a direct lie, which disconnects the individuals who do that from the search for truth. In spite of any diversions, the fact still remains that the probationary struggle must go on for more than one incarnation. Devotion should be directed toward the One Life. Little by little the soul’s consciousness will merge in a stable way into that which is infinite and cannot be described, and before which every word, name, or feeling of self-perception, pales and fades away. Such a merging process inevitably takes time for our humanity. The duty of the 1875 theosophical movement is to help accelerate it, in a collective effort that must be done step by step, according to Karma Law and following the law of cycles. In the context of this long, slow dawning, the 210 year period between 1875 and 2085 is but an instant. In spite of that, progress can be made and must be made now. The goal is clear and it is up to each one to act. The seeds of the future must awaken in the present. Yet one can only act according to one’s own vision of the future. If our perception of the future is short, fearful and narrow, our motives and actions will necessarily have a similar substance. An accurate view of the long periods of time to come gives the pilgrim a correct sense of direction. Calm observation of human life shows that selfish people are not essentially bad. They are myopes; they should face their ophthalmological problem so that it can be cured and their suffering reduced. “ (…) Then shall be ended here the Law of Pain. Earth shall be made a home of Heaven’s light ……. Awakening the dumb heart to the living Word. The body’s self taste immortality. O mind, grow full of the eternal peace. Although students of esoteric philosophy are familiar with these ideas, not many can live up to this teaching. Only the Few can, and even them, in part. Yet there is no need for these individuals to be many. Chapters 18 and 19 of the Jewish Genesis – a text copied from the Torah and precariously adapted by Christian pundits – make a clear reference to that. The scripture teaches an aspect of the esoteric law. Symbolically, a few dozens of just and wise men can establish a living bridge or collective Antahkarana between earthly awareness and divine levels of planetary consciousness, thus dissolving karma which otherwise would lead to unspeakable disaster. There are levels of disaster from which the planet is firmly protected by the Law. “Teachings of the Hindu Mystics”, edited by Andrew Harvey, Shambhala, 2001, 147 pp., see p.123. “The Mahatma Letters”, T.U.P. edition, Pasadena, Letter LXII, pp. 351-352. In the TPH/India edition, it’s letter 62. In the Chronological edition, TPH/Philippines, it’s Letter 126. “The Mahatma Letters”, T.U.P. edition, Pasadena, Letter XLIX, p. 283. In the TPH/India edition, it’s letter 49. In the Chronological edition, TPH/Philippines, it’s Letter 20. “210 year period between 1875 and 2085”. This makes three complete cycles of 70 years each. The first cycle of 70 years closed in 1945, when the victory of Democracy against Nazism was sealed on the 8th of May, an important date for theosophists. The year 2015 closes the second cycle of 70 years. “Teachings of the Hindu Mystics”, edited by Andrew Harvey, Shambhala, pp. 132-133. “Teachings of the Hindu Mystics”, p. 134. See the article “The Guardian Wall That Protects Mankind”, by Carlos Cardoso Aveline, which can be found at our associated websites. “Teachings of the Hindu Mystics”, pp. 134-135.